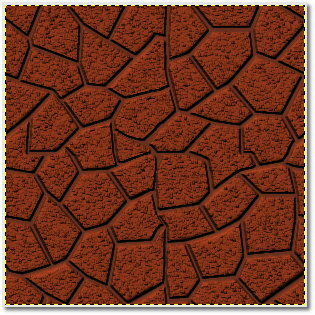 In this tutorial, we are going to create a ceramic tile floor texture using Gimp tools. Gimp ver2.2 has been used for this tutorial, if you are using earlier versions, you might require different steps. Step1. We will first start off with a new file of your chosen size. Here the size is of 300×300 pix, choosing. Choose and fill the base color of darker brown. Step2. Create an empty layer. Go to Filters>> distort>> Mosaic and adjust the settings as in the image 1. Image1. 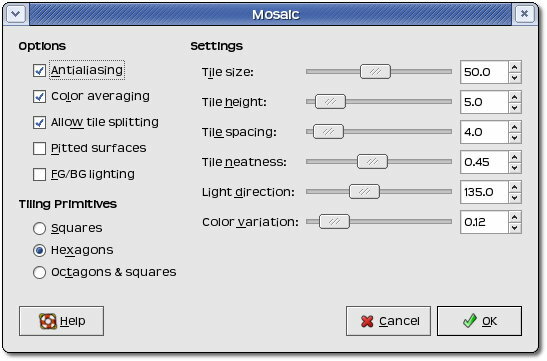 The Mosaic dialog box settings. Image2. 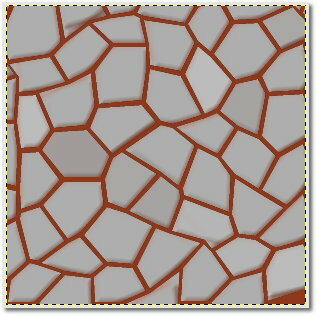 The mosaic tile rendered. The mosaic distort filter will fill up the transparent later with mosaic tiles as shown in the Image 2. Step3. Since its a tile, we need to make it seamless. We have to repeat seamless drill as done in previous tutorials. Select the tiled layer, press Ctrl+O to bring up layer offset dialog box and fill 150 in both x& y and press OK. You will get something like below. It is not seamless and need to be worked. Make it seamless by creating. 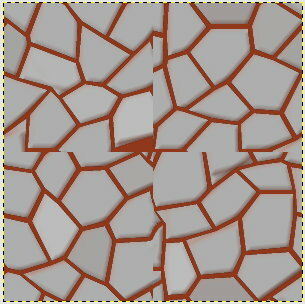 joining and cutting current tile patterns by editing them with clone brush and or any tool you prefer. Step4. After making the tile seamless, right click on the tiled layer and click Alpha to selection. Create a new transparent layer and fill it with same ‘grey’ from the rendered tile. Duplicate the new layer and apply Gaussian burr of .6. Right click on the blurred layer and select Merge down, to merge it with the base layer it was duplicated from. This step is done as we need a source for bump map layer. You can use the source from the step3 itself, but it will not create smoother edges in the bumps as the one we prepared in this step. Step5. 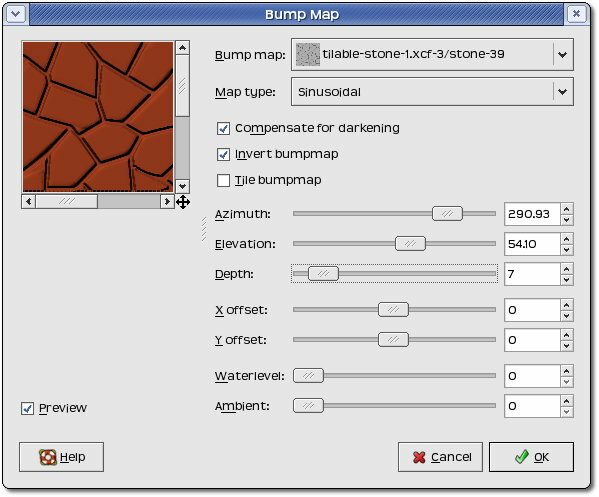 Select the base color layer and go to Filters>> Map>> Bump Map. And apply the settings as below. Step6. It’s time to create details on the texture. First go back to the seamless tile again and right click and select ‘Alpha to selection’ again. Create a new transparent layer. Apply Filters>> Noise>> Hurl at default settings. The go to Layers>> Color>> Apply desaturated on the noise layer. Apply Gaussian blur of .3 on the layer. Step7. Now we need to create bump maps from the noise layer as a source. 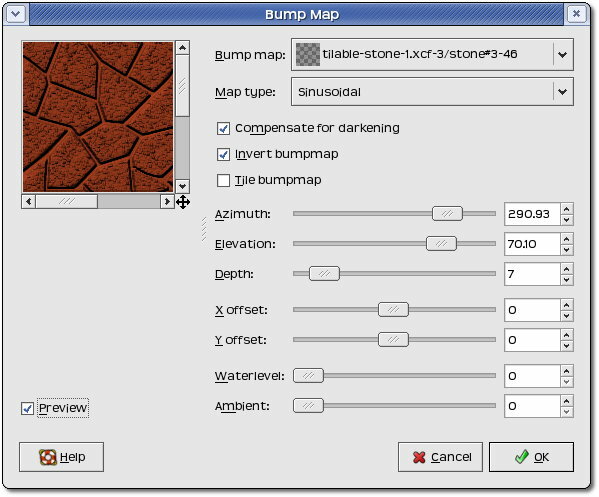 Select the bump mapped color tile texture. And apply Filters>> Map>> Bump Map. Select the source as the noise layer and copy the setting from the image5. Image5. Bump map settings for noise. Image6. The tile nearly finished. Step8. Select the seamless tile from the Step3 and select “Alpha to selection” and then press Ctrl+I to invert the selection. Create a new layer at the top of all layers and fill it with black and change its transparency level to 20-35 whatever works best for you. Basic tile is finished. Image7. After addition of details. Image8. 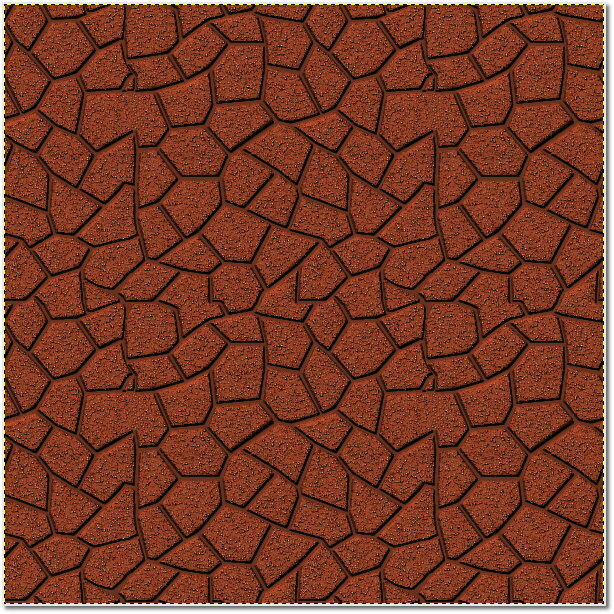 The Ceramic tile texture after tiling 2×2 times. Step9. 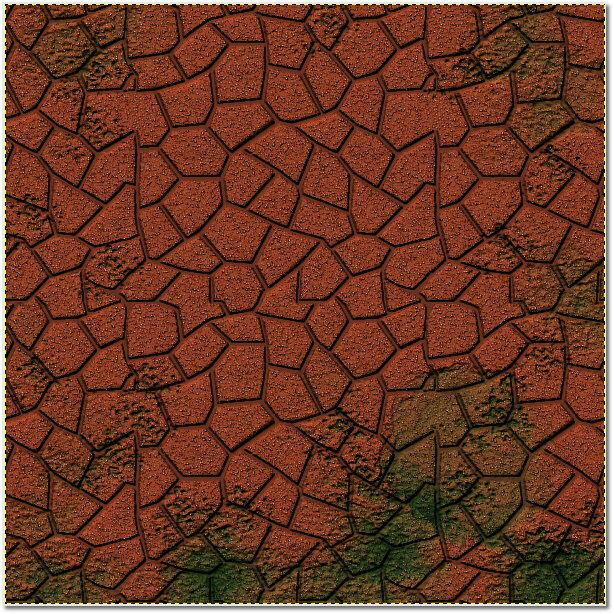 This is the final step for the texture tiling. After creating the tile you need to flatten it and check it for any seamless defects. Use the same method as step3 if you need to make it seamless. Your ceramic tile is ready to put for other uses. Image9. Sample texture after some modding. This finishes the Ceramic texture tutorial in Gimp.